Since new generation catalysts and process productivity improvements are continuously ongoing, in the pursuit of profit, energy efficiency and the environment, it is very important for our clients to periodically measure themselves against a competitor and/or against the state-of-art (SoA). 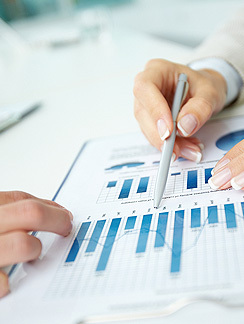 TCG Consulting provides either product, company or process economics benchmarking, depending on the client’s need. These may or may not include patent analyses to capture future comparative, incremental and/or step-out technology replacement developments, including understanding the changing licensing or product market shares within market segments/applications. TCG Consulting’s strength is particularly evident in voice-of-customer (VoC) interviews globally, which is derived from its 170+ Dialog Group ® virtual organization, which has expert consultants located all over the world. This means we can interview different people and companies with a strong manufacturing, business and technical acumen, accessing real world field information in a fast and efficient manner.